The Data Governance Professional (DGP) credential is awarded to those who qualify based on a combination of criteria including education, experience and test-based examination of professional level knowledge of data governance and stewardship. This credential is offered at the Mastery or Practitioner level. To maintain certified status and continued use of the credential, an annual recertification fee along with a 3-year cycle of continuing education and professional activity is required. 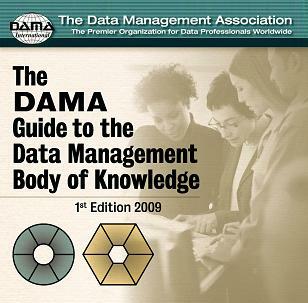 The Data Management Association International (DAMA) authorizes the Data Governance Professional credential in partnership with the Institute for Certification of Computing Professionals (ICCP), which administers testing and recertification. This document outlines the requirements for obtaining the DGP. The exam outline is found at http://iccp.org/certification/exams/outlines. At least one contact name must be provided for verification of Data Governance / Stewardship experience for audit purposes. If you already passed the Data Governance & Stewardship exam as the data exam of choice for the CDMP, your CDMP can be used towards the DGP. The DGP credential can be applied towards the CDMP in the future by taking the two mandatory exams required and meeting the education and experience requirements. For information on conversions, see (URL). There are various ways of learning the process of taking the DGS exam. The DGS is included in the following training and study guides. Check the ICCP website athttp://www.iccp.org/certification/training/online for scheduled online CDMP exam reviews and other online training that includes the DGS exam. The DGS exam is also offered at the DAMA International Symposiums and periodically at some DAMA chapter meetings. ICCP Testing can be done anywhere in the world, with an approved ICCP Proctor to verify physical identity and supervise/invigilate the delivery of the examination. Contact the ICCP office for further information (www.iccp.org/contact). A webcam, microphone and government issued ID are required. A DAMA chapter can set up exam sessions during their chapter meetings. What is needed is a volunteer proctor from the chapter. A proctor is an individual authorized by ICCP to oversee the writing of an exam by an ICCP exam taker. This person must meet specific guidelines ( http://www.iccp.org/certification/exams/administration) and be willing to supervise the exam taker. The ICCP reserves the right to reject proposed proctors. Contact ICCP (www.iccp.org/contact) or phone 847.299.4227 or 800.843.8227 if you require assistance in determining an appropriate proctor. Taking exams via the Internet is also available. Computer based testing allows for the immediate scoring after the exam is taken. An ICCP Performance Profile is then available for downloading, and one will be sent later to the individual by the ICCP. This Profile shows your exam strengths and weaknesses. Fees are $285 USD for the exam and $125 for the credential for a total of $410 USD. For those who took the DGS exam as a beta exam in 2011, you can apply for this credential by providing the reference information, appropriate experience and education, and pay the beta exam ($195 USD) and credential ($125) fees for a total of $320 USD. The DGP credential can be applied towards the CDMP in the future by taking the two mandatory exams required ($285 USD each) and meeting the education and experience requirements. No additional fees are required. If you have taken the DGS as a data exam for the CDMP and fulfill the DGP education and experience requirements, you can apply your CDMP towards the DGP for the credential fee of $125 USD. To keep your DGP current, you must earn 120 approved contact hours of continuing education over a 3-year period. Many educational activities count including DAMA Symposiums, chapter meetings, data governance / stewardship conferences and training. View the Sample Ways to Earn CDMP Professional Development /Recertification Credit in pdf format for ideas. For further information, contact the ICCP (www.iccp.org/contact) for an ICCP Recertification Guidelines Booklet or go to http://www.iccp.org/members/recertification/requirements. Recertification credits can be entered online through the Professional Development Transmittal Form, http://www.iccp.org/members/recertification/submit-education. Your DAMA chapter can also keep track of meeting attendance for the purpose of recertification and submit on a timely basis. There is an annual maintenance fee to ICCP for keeping track of your recertification credits. You will receive an annual transcript from the ICCP. Click here to contact the ICCP: www.iccp.org/contact.